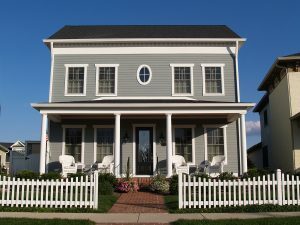 When you need the siding on your house replaced, the company to rely on in Destin, Florida, is Majors Home Improvement. Since 1997, we have helped homeowners throughout the area with their home improvement needs and have earned an A+ rating with the Better Business Bureau, a five-star rating with GuildQuality, and numerous industry awards along the way. So, you can trust that when you partner with us for a siding installation, you will be in exceptional hands. Thick insulation – Your home will be wrapped in a blanket of insulation, which will help to keep the cold air out in the winter and the warm air out in the summer so your home remains comfortable year-round. Breathable vinyl surfacing – This durable surfacing can withstand damage from hail, wayward baseballs, and wind-blown debris, and its insulating layer breathes freely to resist water retention. Secure paneling – A secure interlocking design keeps the panels from tearing off or rattling, even during extreme winds. Plus, with multiple colors to choose from for your house siding, you won’t be limited by just a few options, but can select the color that truly complements your home and your personal taste. Our colors also resist fading and will maintain their vibrant look for years and years. If you’d like to discuss a siding installation at your house in the Destin, FL, area, contact Majors Home Improvement today. When you do, feel free to inquire about our financing options.